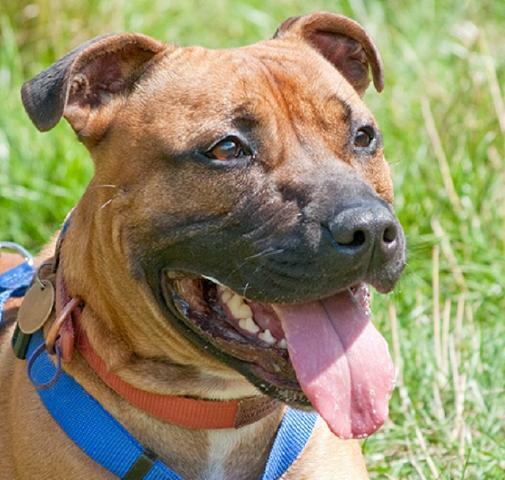 Homing Requirements: Snoopy needs a family who accept the excitement and affection from a bull breed. Snoopy would delight a family and children who are dog savvy. Snoopy is scared of vets! Not for cats or small furries. 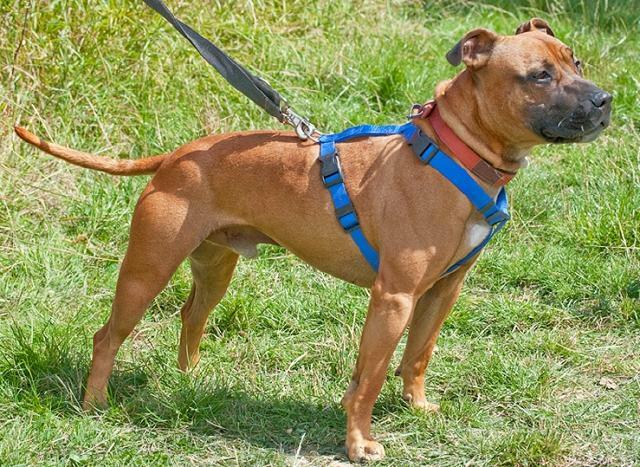 Meets other dogs well outside on his walks but need more reassurance before he is off-lead. His Story: Snoopy was found abandoned and unclaimed but through his chip we have learned he was a much loved dog and great with children but his owner couldn't manage him on a lead as he had a back problem. Snoopy is neutered, chipped and being vax'd. 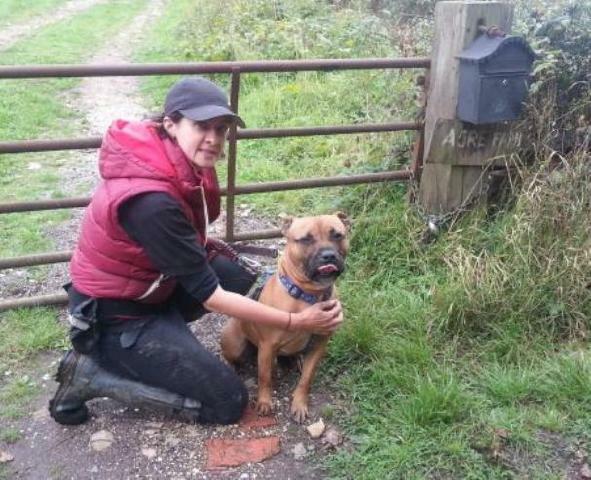 Snoopy is settling in boarding kennels near Gatwick, East Sussex while waiting for a foster place or his very own home. Advert: Snoopy definitely has a comic air. He brings smiles to everyone's faces who have had the pleasure to meet him - especially to those who walk with him. 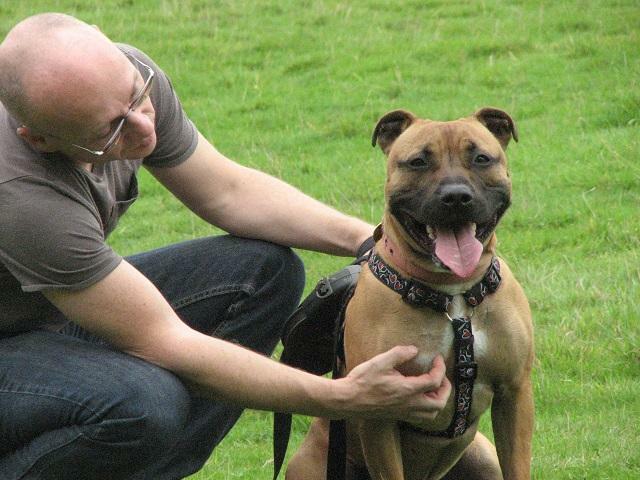 He is presenting as a casual, relaxed dog in the kennels and to all Rescue Remedies volunteers. He is highly intelligent and he gets concerned in new situations but once he gets to understands what is expected of him he visibly relaxes. 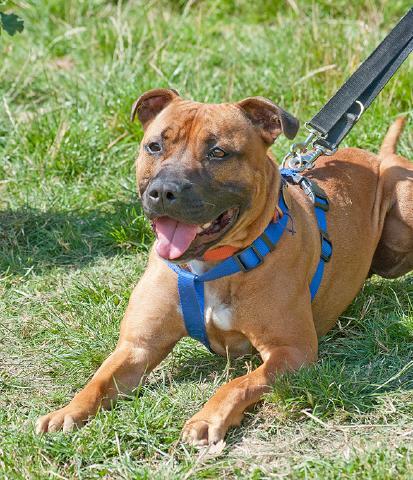 Snoopy is a red larger Staffie with a huge smile and a personality to match. Snoopy is the perfect blend of generosity and fun. He is affectionate, social and wins friends. Snoopy is going through into life as a popular 'person' and will be so loved by his family once they find him! 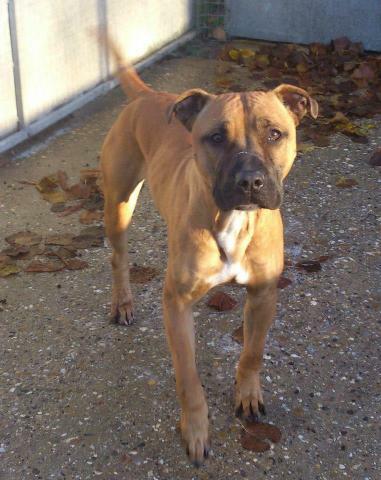 Original Referral Details: Came into a pound 11.12 Crossbreed male, approx 3-4yrs old. Snoopy is a loving and extremely loyal dog who bonds closely to his handler. Fun, clownish and playful by nature, Snoopy was clearly a much loved pet once: he has been microchipped, neutered and knows all the basic commands. 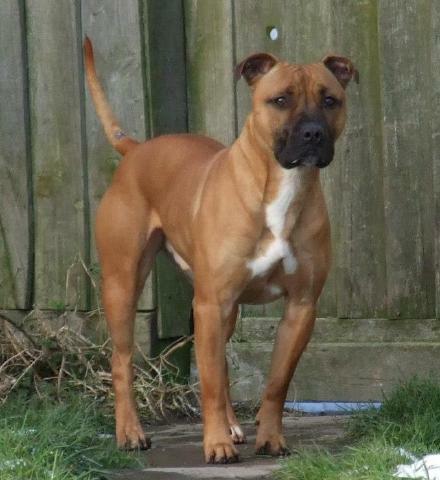 He is also housetrained - he has been spotless in his kennel over the last 6 months. Like many terriers, his recall is selective at times but he will gladly return if you make it worth his while. He is not a barky dog, Snoopy is very happy to sit in his kennel and watch the world go by. He loves to play ball, though he quite hasn't got the hang of bringing it back. With correct introductions, Snoopy seems fine with other dogs although he is worried by very dominant dogs. Probably a 'no' to cats. Snoopy is neither toy nor food possessive. He will jump up at rope leads and try to entice you into a game of tug, but ignoring and refusing to engage with him soon sorts this. Snoopy does jump up when he gets exited and may playful nip, but in no way aggressive. Kennel staff feel these things could be easily sorted by the right rescue and someone who can gain his trust. Snoopy has clearly suffered some kind of trauma relating to needles - he is EXTREMELY worried by them and kennel staff have found it IMPOSSIBLE to vaccinate him. If Snoopy has any indication that a needle is approaching he becomes very defensive and will snarl and eventually would bite, if the threat from the needle is not removed. 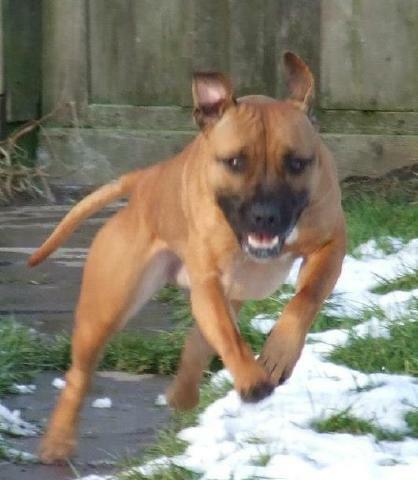 Snoopy was abandoned in November 2012 and found himself alone and afraid in a Midlands pound. We believe this is when the 'vaccination trauma' occurred.